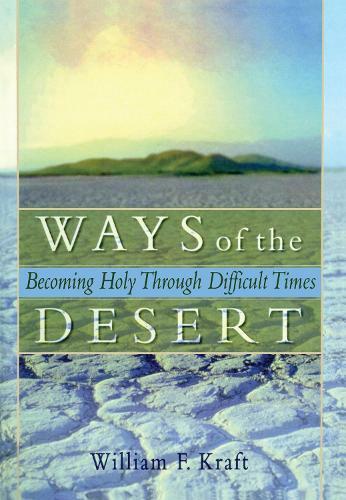 Discover how negative experiences such as loneliness, depression, and anxiety can be opportunities for personal growth!Ways of the Desert: Becoming Holy Through Difficult Times analyzes the similarities and differences between spiritual and psychological experiences. This book shows religious professionals and others interested in spiritual development how suffering can foster growth. You will explore the so-called "negative" desert experiences--depression, anxiety, loneliness, guilt, and anger--and learn how they can be opportunities for spiritual growth. This book explains why opposites are necessary and related parts of healthy and holy development, and that, especially in a spiritual life, the positive and negative are related. Ways of the Desert will take you on a journey through the "deserts" and "promised lands" of adolescence, adulthood, and the elderly years. In most Western cultures the acceptance of opposites as a necessary and related part of healthy and holy growth is not common, and its rejection can engender spiritual stagnation. Ways of the Desert offers suggestions on creating lifelong spirituality including: understanding the need for both "clock" time for functional order and "sacred" time to redeem us from the boredom of our daily challenges understanding the languages of the desert, or the messages that are primarily nonverbal, ambiguous, or ambivalent using effective communication when expressing feelings such as shame, frustration, anger, or anguish examining the similarities and differences between psychological and spiritual activity comparing psychological twelve-step help programs to spiritual growth journeysThis extraordinary book works to help you make sense of your life when you feel lost, trapped, depressed, or lonely. You will attain spiritual guidance to assist you on your journey through life and help you understand that the deserts of negative experiences that we sometimes wander into can be illuminating opportunities for spiritual progress. Ways of the Desert will guide you through difficult and challenging times and help you achieve spiritual satisfaction and happiness in life.